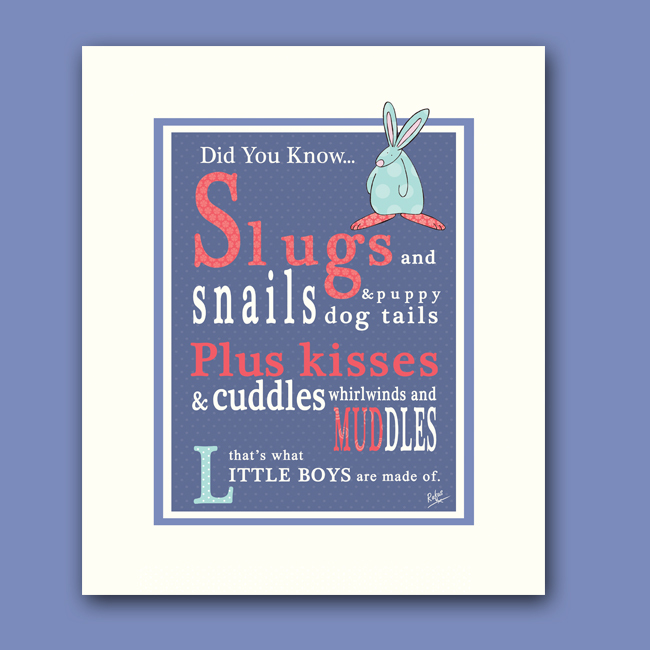 Did you know... Slugs and snails and puppy dogs tails. Plus kisses & cuddles, whirlwinds and muddles. That's what little boys are made of. 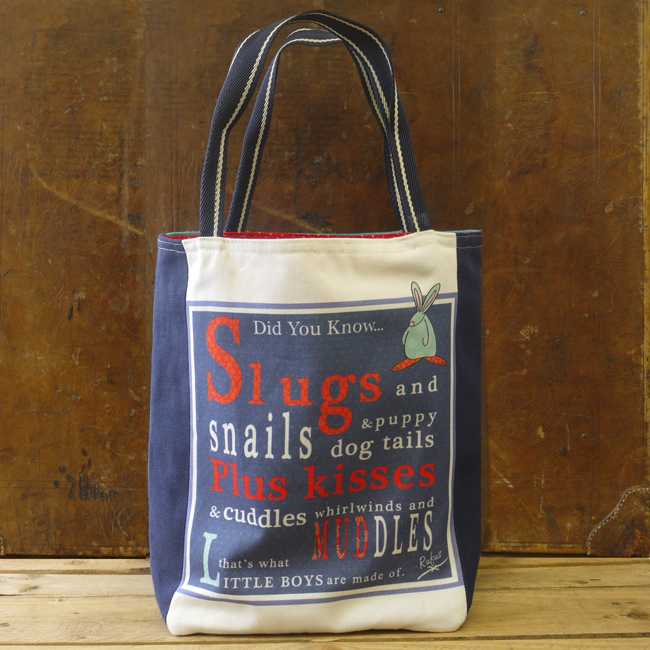 Rufus Rabbit’s baby boy nursery tote bag is a practical must. 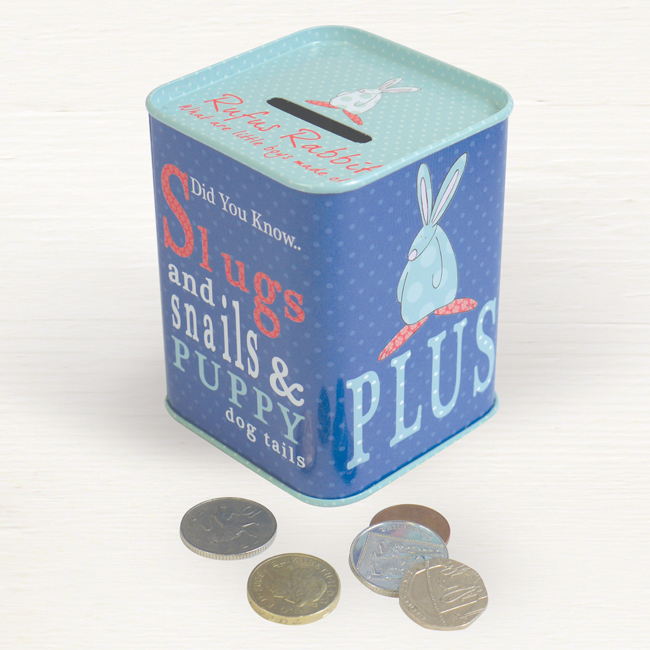 Created for nursery, pre school or Granny and Grandad day out essentials. 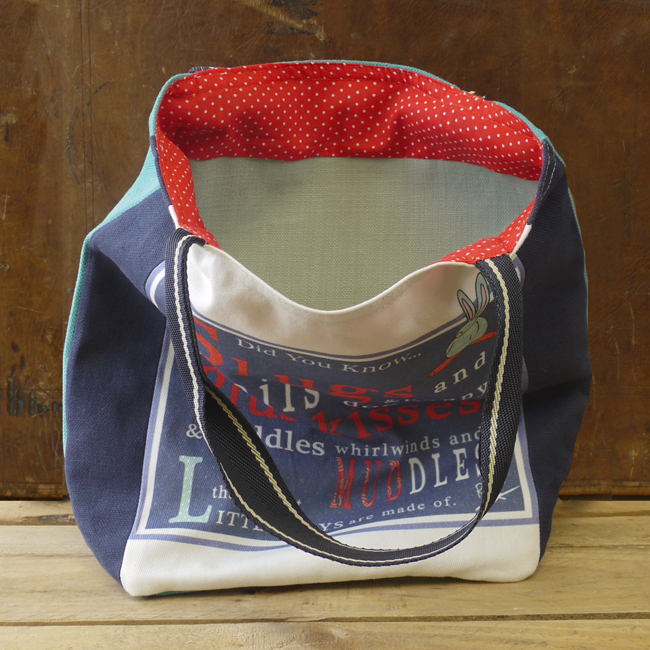 It is big enough to hold a spare set of clothes, nappies and wipes. It also has room for a good read and of course the most important item, a favourite babbitt! This original twist on an old nursery ditty attempts to bring some balance and light humour to the boys v’s girls debate. Printed in the UK and made right here at Bunny HQ. 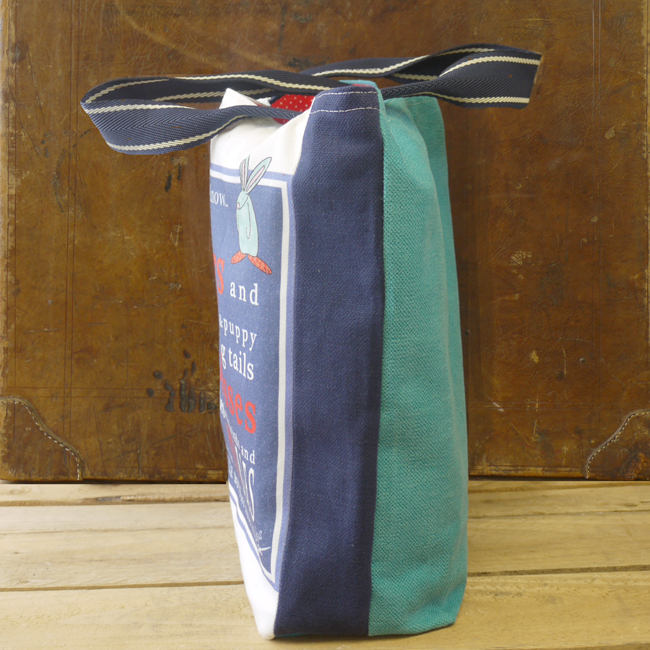 These handmade bags are small in number and exclusive to our website but once they’ve gone, they’ve gone! This bag measures 13″ x 13″ x 4″. The strap length is 8.5″ and it is fully lined and don’t tell everybody but they feel and look really, really nice.